St. Albans’ first headmaster, Earl Lamont Gregg, served from 1909 to 1915. Born outside Dayton, Ohio, on May 6, 1878, Mr. Gregg graduated from the University of Michigan in 1900 and began teaching at Racine College, in Wisconsin, before becoming head of the grammar school affiliated with that Episcopal college. In April 1909, the Cathedral Chapter named Mr. Gregg, at age 30, the first headmaster of the National Cathedral School for Boys, as our school was first known. As headmaster, Mr. Gregg hired faculty, found students (eight of our first graduating class of ten came from Wisconsin), and started such “traditions” as family-style lunches, the prefect system, Field Day, and Prize Day. William Howell Church, St. Albans’ headmaster from 1915-1929, descended on St. Albans “like a tiger,” according to the school’s history book. He instituted college board exams and abandoned athletic scholarships. He hired, and he fired. The changes clearly appealed to area families, and under Church’s careful watch, St. Albans began to grow, with the student body expanding from 92 during World War I to 160 at the end of his tenure. Born in Bath, N.Y., Church graduated from Hamilton College in 1892 and received a master’s degree from Johns Hopkins. Before coming to St. Albans, he served as headmaster of the Nathan Hale School in New York and the George H. Thurston School in Pittsburgh. The Rev. 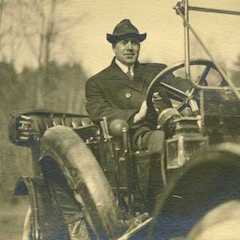 Albert Hawley Lucas (familiarly known as “Chief ”), served in the Marines during World War I before becoming vice principal of Philadelphia’s Episcopal Academy and, in 1929, headmaster of St. Albans. At St. Albans, Lucas hired teachers with exceptional drive, intelligence, and, often, strong personalities, including John C. Davis, Ferdinand Ruge, Doc Arnds, Al Wagner, and Dean Stambaugh. St. Albans thrived under the Rev. 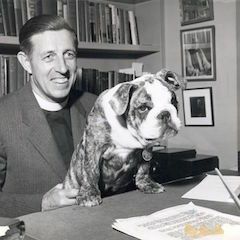 Charles S. Martin, headmaster from 1949 to 1977. The 1950s and 1960s were especially fertile years. Although Martin insisted the school was preparing boys “for the kingdom of heaven, not the kingdom of Harvard,” a high percentage of students headed to the Ivy League. (In 1957, Harvard accepted more than a third of the seniors.) Athletic teams excelled, winning numerous IAC titles. The Saint Albans News led several young editors to careers in journalism; prominent government officials addressed the Government Club; local papers gave rave reviews to the Glee Club’s original musicals. The campus added a five-story Lower School academic building named for Albert Lucas, the Lawrence Pool, the Ellison Library, the Trapier Theater, physics and biology labs, art studios, classrooms, faculty offices, and an expanded Cafritz Refectory. Martin watched over the integration of the school, deepened the school’s sense of community, and broadened student commitment to social service. From 1977 to 1997, Mark Hill Mullin sustained the excellent quality of education at St. Albans. He also strived to prepare students for a rapidly changing world. To accomplish this, the school began offering Russian and Japanese classes. Student exchange programs and travel fellowships gave students opportunities to study abroad. A writer-in-residence program allowed boys to work alongside practicing authors. A new social service requirement encouraged boys to work in service of others. When, in the 1980s, a teacher fell ill with AIDS, Mullin provided an example guided the entire community on how to respond compassionately. Raised in Chicago and Mt. Carroll, Ill., Mullin graduated from Harvard University in 1962 (where he set a new record for the Ivy League mile (4:07.1) and then attended Oxford University as a Marshall Scholar. 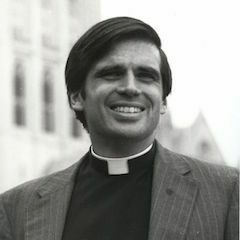 After receiving his master of divinity from General Theological Seminary, he became a chaplain, teacher, and dean at the Choate School, in Wallingford, Conn., and, before coming to St. Albans, assistant headmaster at the Blue Ridge School, in Dyke, Va.
Born in Pittsburgh (and ever a Pirates fan), John Foster “Jack” McCune graduated from Princeton University in 1952 and then served in the Army’s Counter Intelligence Corps. After briefly attending law school, he decided teaching was his calling. He taught at Choate, and, in 1966, after receiving a master’s degree in liberal studies from Wesleyan University, he came to St. Albans as a history teacher. McCune went on to chair St. Albans’ History Department and to serve as head of Upper School, playing an instrumental role in developing the school’s international travel programs and teaching Omni, an intensive, intertwined history of Europe and the United States. 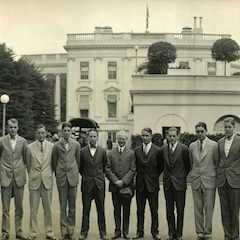 The holder of the Folger Chair in History, McCune also coached basketball and advised the Government Club. Two years after “retiring” in 1995, McCune was invited back to serve as the school’s headmaster from 1997-1999. Vance Wilson served as the seventh headmaster of St. Albans School from 1999 to 2018. Born in North Carolina and raised in Tampa, Fla., he attended Berkeley Preparatory School and earned his B.A. in English from Yale University, where he was a student-athlete and was nominated for a Rhodes Scholarship. He went on to earn a diploma in Anglo-Irish literature from Trinity College, University of Dublin, and a master’s degree from the University of Virginia. 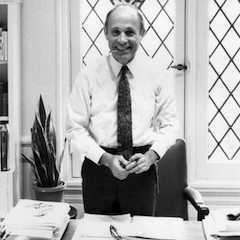 He began his teaching career in 1974 at the Lovett School in Atlanta, where he was quickly promoted to head of the Upper School; subsequently, he worked as a teacher and administrator at Asheville School in Asheville, N.C, Tower Hill School in Wilmington, Del., and Bryn Mawr School in Baltimore, where he was the associate head. He also taught English at Madison Area Technical College. In 1999, Mr. Wilson was named the seventh headmaster of St. Albans School, a position he held until his retirement 19 years later, in June 2018. At St. Albans he founded the School of Public Service, conducted the two largest campaigns in school history, quadrupled the school’s endowment, watched over the construction of an Upper School academic building, and oversaw the reconstruction and expansion of the athletic fields—all while continuing to teach English. 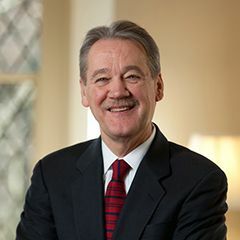 Mr. Wilson has served on the boards of the Asheville School and Roxbury Latin, and served as president of the International Boys’ School Coalition's board of trustees. Mr. Wilson has pursued a second career as a writer: he has co-authored two books on curriculum issues and an account of integration in Southern private schools. In 1986 he published a novel, The Quick and the Dead. 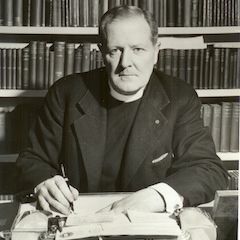 Continuing a tradition started by Headmaster Lucas and carried on by Canon Martin, who published his Letters from a Headmaster’s Study in 1961, Mr. Wilson frequently wrote letters and spoke to the community about school life, education, and the lives of boys. Several of these writings were published in 2017 in Each Day: A Veteran Educator's Guide to Raising Children.